Hello, everyone! I am a 17-year-old game enthusiast. My mom got me Scratch and lessons for it when I was pretty young, but I never took the lessons, because just messing around was far more fun! Nothing at the moment. 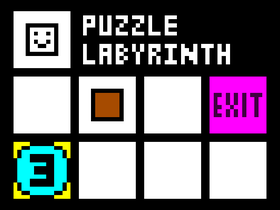 Seeing how Puzzle Labyrinth pans out! Thinking of starting a smaller project soon.